The temperatures continue to drop as we get closer and closer to the winter season. The late nights and early mornings get especially cold. That is why we happen to call this season “remote start season” here at Nu Image Audio. We are fully prepared for this time of year and want our clients to be as well. A common question we get asked is, “What is the difference between one-way and two-way remote car starters?” Read on – we’d love to explain this. With a one-way system, the data is only being sent in one direction – from the remote to the vehicle. You press a button on your remote and, as long as you are within range, the vehicle acknowledges the signal and performs the command. There is more than one downside to one-way communication: If you are not in range, your vehicle will not respond when you push the button on your remote. There is also no way of knowing whether it received the signal. Inevitably, there will be times you will have to park your car so far away that it can’t be seen from your office or kitchen window. In these cases, you can use the one-way remote to command your car to start, but you won’t know if it was successful until you get out to your car and see if it actually is running. 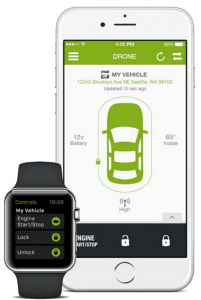 Two-way systems communicate data in two directions – from the remote to the vehicle and from the vehicle back to the remote. Whenever you press a button on your two-way remote and command the vehicle to do something, the data goes directly to the vehicle. 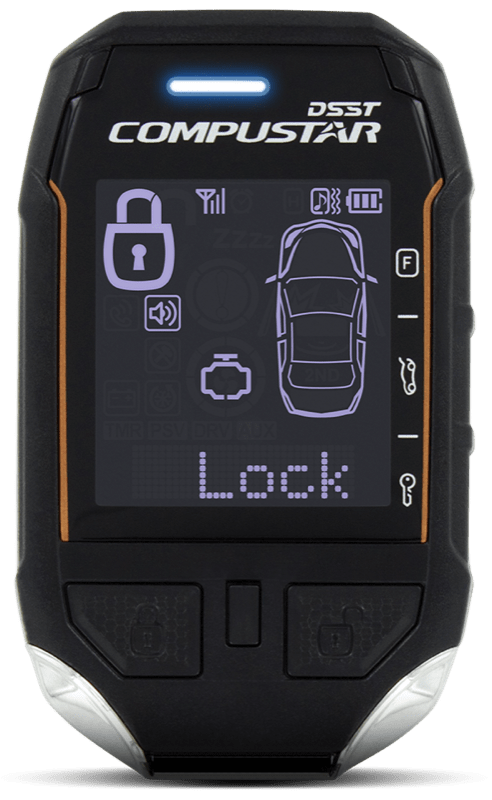 The vehicle then receives the data and sends a signal back to your remote, notifying you whether the vehicle was in range and if it did, in fact, perform the command. 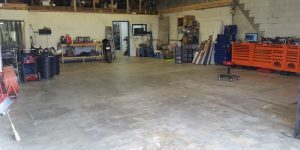 Have you ever parked in a large lot or garage, walked all the way to your office, and then couldn’t remember whether you locked your vehicle? 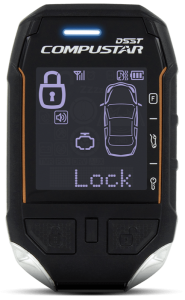 With a two-way system, you can just take a look at your remote and it will let you know if your vehicle was locked or not. You never have to walk back out to your car and check. 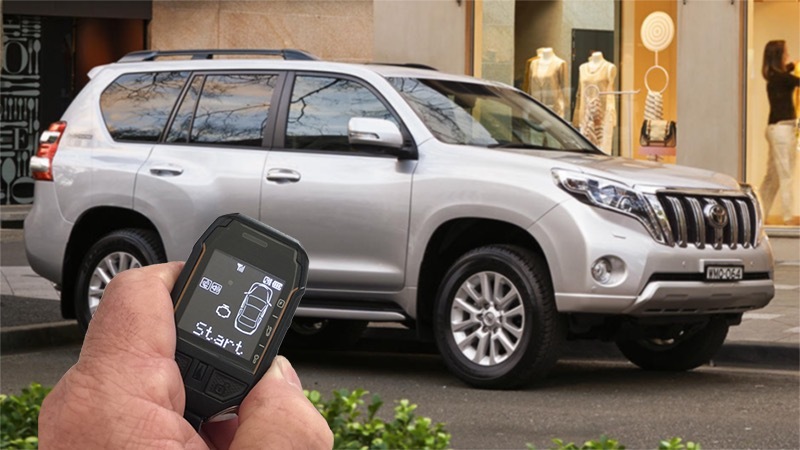 One last option that also happens to be a favorite of many is a remote start system that is controlled by a smartphone. 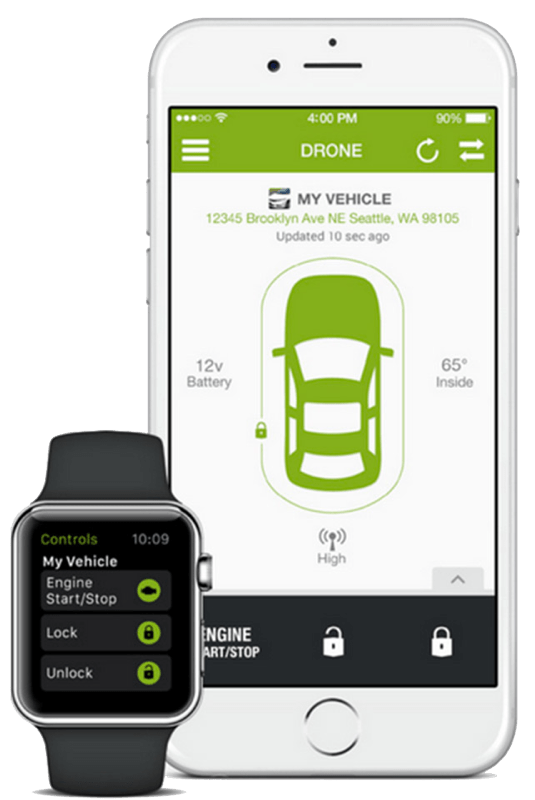 The Compustar DroneMobile will allow you to lock, unlock and start your vehicle from anywhere, meaning you don’t have to be sure to stay within any certain range. With this system, you also don’t need a remote for your key ring because it is all done from your phone. 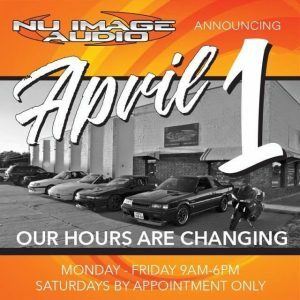 Stop by Nu Image Audio Today! Our team would love for you to stop by our store in Salina, KS. 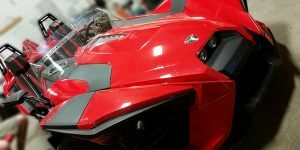 We are ready to answer any questions you have about remote start systems and will help you decide which one is the best option for your individual lifestyle. You can also contact us here for more info.